now I'm back from my ride and here is the video: https://www.dropbox.com/s/fssby7vdti...O0029.mp4?dl=0 Highspeed was between 2:00 and 2:20. And here is the video where the autobahn was going to: https://www.dropbox.com/s/nftypep3ft...O0030.mp4?dl=0 . Sadly the video is not very good quality but I hope you can see where I have been. OK. I will do my very best. 05:06 AM - MKVIIST mentioned Perfblue15 in post For sale used Cobb rmm and 3.5 bar map sensor. Looking great FistToFast, welcome aboard. 11:19 AM - D1JL mentioned MKVIIST in post Should we upgrade the Fiesta ST Forum software to Xenforo? 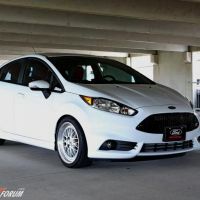 11:15 AM - MKVIIST mentioned Jason in post POLL: What Tune are you using on your Fiesta ST? 08:37 PM - MKVIIST tagged Nordattack in thread Got a deal I just could't pass up. 03:20 PM - black_soju quoted MKVIIST in post Hello everyone from Chicago! 02:40 PM - MKVIIST quoted black_soju in post Hello everyone from Chicago! 01:13 PM - Perfblue15 quoted MKVIIST in post For sale used Cobb rmm and 3.5 bar map sensor. 01:58 PM - thomas.mcniven quoted MKVIIST in post What did you do to your Fiesta ST today ? 10:02 AM - 17MagneticFist quoted MKVIIST in post New member ! 12:45 PM - MKVIIST quoted rromero022 in post Can’t register, did not receive the email to.